Click the mail icon with a small green arrow as shown in red below. Click the GroupShare tab that appears below. 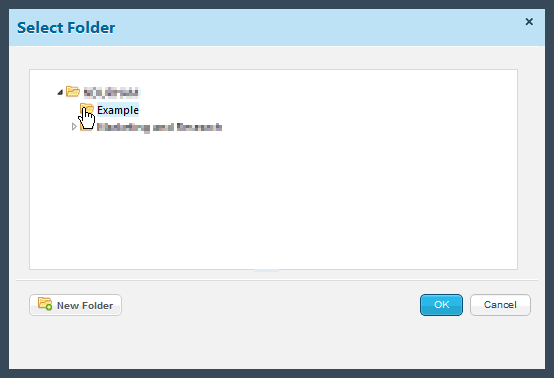 Hover over a folder icon and click the downward facing arrow that appears in the top right hand corner. Scroll down to Send/Share, and select GroupShare. Right click on a folder, scroll down to Send/Share and click Group Share. Click the Folder Options menu, scroll down to Send/Share, and click Group Share. 2. 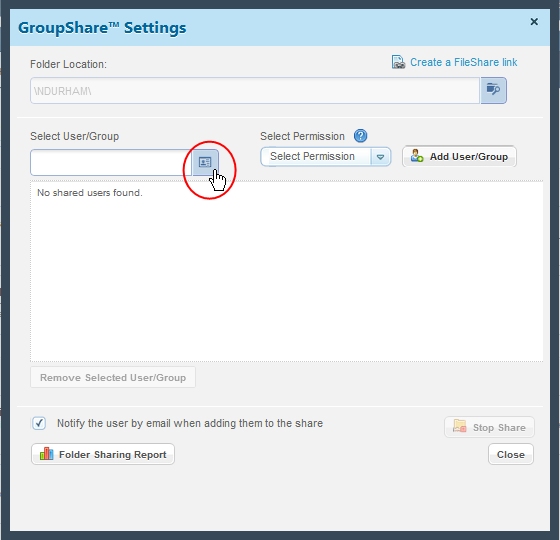 Click the Search Folder icon circled in red below to select a folder to GroupShare. 3. Select a folder from the list in the window that appears and click OK.
4. 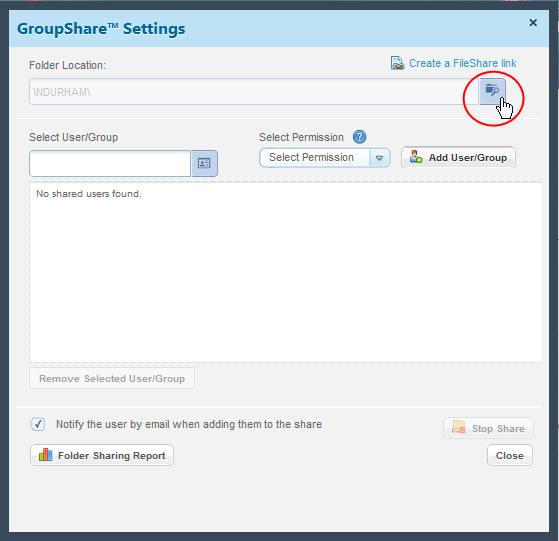 Click the Contacts icon circled in red below to select user(s) to send a GroupShare. 5. 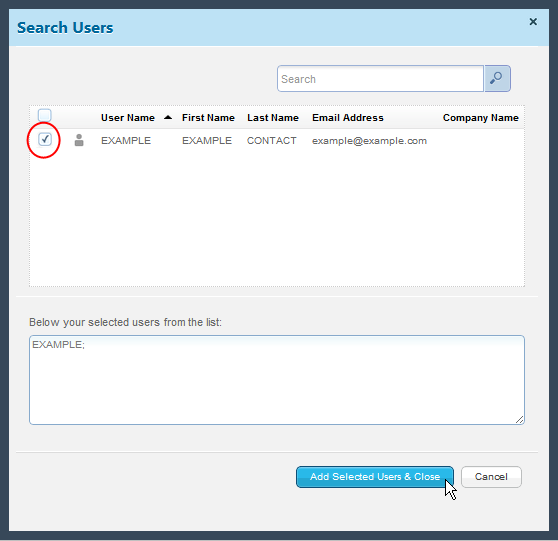 Check the empty box next to all user(s) you wish to add to the GroupShare list, then Click Add Selected Users & Close. 6. Select a permission level for the user(s). 7. Click Add User/Group to send the GroupShare, then click Close.